The Motley Fool is a team of around 250 people. Because we are an awesome workplace most of those 250 people will tell you that they plan to work here for the rest of their lives. As a result, right now we are running with less than 2% unwanted turnover. That can create some high class challenges. One challenge is that without turnover, there may not be new jobs opening up frequently. We meet this challenge head on in a number of ways I’m quite proud of. Make no mistake – our company is growing. 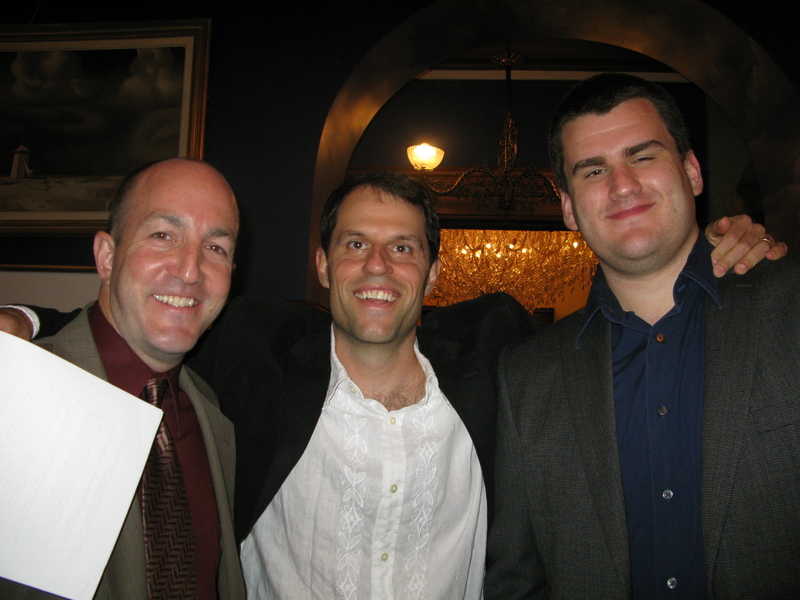 We have grown every year since our inception in 1993. We work hard to grow in every way but one – headcount. 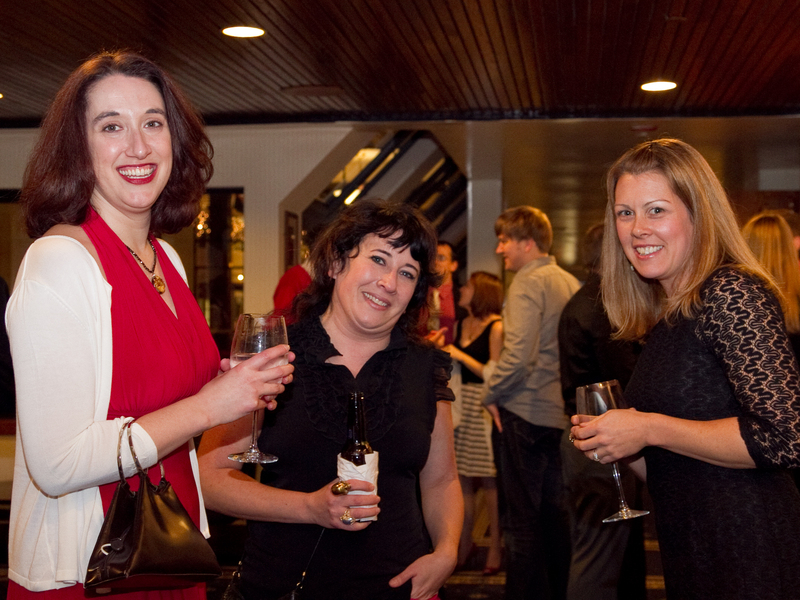 As a business grows and headcount doesn’t, we ask more of everyone. It’s just that way by definition…and with the math. With smart work, we can get you doing the “more” by making sure that your passion and skills are layered into your job. My goal is that your job is expanding in ways that gets you charged up to come to work every day. I purposely note that “new jobs” don’t open up frequently. We aren’t believers in “jobs” and job descriptions. We talk about roles. We all play many roles in our lives including at work. By understanding and examining the existing and new roles at The Fool, we can find great opportunity. Some of my favorite roles are the ones you play on project teams. We love to create teams to tackle anything we see. There are tons of benefits of cross-functional teams of Fools. The one I am highlighting here is the opportunity to be a leader, a visionary, a strategist, etc. In other words you can step out of some of your regular roles and try your hand at something different on a whole new project. You may be a data processor by day and then suddenly be leading a team to understand what is happening with mobile right now to better serve our members. Every industry is dynamic. Looking to what is changing in your industry is another area for opportunity. Suddenly an area like mobile exists where it didn’t previously. Many companies would look to create a new job around mobile and add headcount. But, we look to see if this is an area where we can enhance someone’s role who is already here. I am also fascinated by the stage any company is in. We love Les McKeown’s Predictable Success model. Whatever stage your company is in can be a time for heroes. If you are in cost cutting mode, that quiet accountant may be thrust into the spotlight and leading in ways she hadn’t previously. We look to see where our business is, what skillz are needed to lead in that cycle, and who internally has the relevant skillz to step up. We have a vibrant and strategically important internal university that we call FoolU. I recently asked one of our editors what she most enjoyed about coming to work. Her answer was teaching a writing class. FoolU is staffed by Fools. We find teaching can be one of the most rewarding and productive roles anyone can play. The constant search for new opportunities for Fools requires us to be immersed in who Fools are, what skillz they have, and where their passions are. When we are able to marry that passion and skill with an area of value creation, we all win. 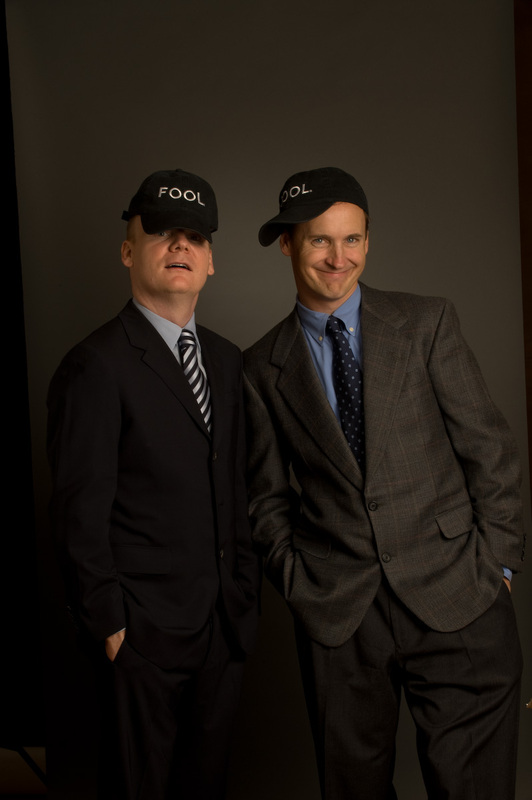 The culture team at The Fool is on a constant and never-ending search for those wins. NERF Wars – What, your office doesn’t have those? Are NERF wars in the office still cool? I guess really we could ask if they ever truly were. I have noticed a resurgence in our office in the recent weeks, and am reminded of the business value behind them. Yup, I said business value behind NERF wars. There certainly is no value in the act of a NERF war. Inevitably someone gets hit int he face with an errant shot. There are disturbing screams of joy, satisfaction, or fear. NERF darts are found in random places like coffee cups and trash receptacles. So, where is the business value, again? 1) Camaraderie. Bands of Fools teaming together to attack one another. We are in this together. 2) No Hierarchy. A great reminder that no one is a sacred cow. 3) Laughter & Fun. It seems just when I am taking myself or my day too seriously, I am reminded that we should always be having some fun. 4) Inexpensive. I don’t always need big bonuses or fancy parties. A random NERF gun war is fun, collaborative, and gets the energy up in the office. I am off right now to search Fool.com to see if NERF is a public company. I think they are making a comeback. April Fools’ Day is Our Foolish Holiday! April Fools’ Day is always a bit of a celebration around here. What company could enjoy the day more than us? We will have some fun in the office, but the most outward sign of our celebration is our April Fools’ Day joke posted on our site. This year, our joke was that our company was going public! Our April Fool’s Day joke provides some giggles and teaches important lessons about investing and business. Seth Goldman is a successful business owner, having grown beverage company Honest Tea from a scrappy Bethesda start-up to a flourishing subsidiary of Coca-Cola. But on one recent Thursday, Goldman found himself working as a tour guide. Absorbing his words were a team of 10 employees from the Motley Fool, an Alexandria-based company that provides investment advice. In an attempt to glean best practices from other businesses, for the past few months Motley Fool’s executives have been sending teams of the company’s employees on a “Great Idea Hunt” to area companies. The groups are visiting companies such as Affinity Lab, National Geographic and even Delaware’s Dogfish Head brewery, documenting their voyages and making videos to be shown at an April company meeting. Each business was chosen for a different reason — Dogfish won for its storied positive office culture; at National Geographic, a chief sustainability officer will show the Fools how to green-ify an office building. Despite the differences between their industries, Trogdon said his company shares a similar culture to Honest Tea. Back at Honest Tea, the Fools gathered around an island in the company’s kitchen, where one fridge holds employee sack lunches and the other holds test batches of Honest Tea’s new formulations. A product developer stirred red potato powder into a jar of water to show how the company tints its organic teas without artificial coloring. Goldman passed out tiny cups of a new green tea formula, adding that the company doesn’t rely much on focus groups. Their spartan approach quickly became a theme throughout the presentation. On trips, employees are usually asked to share hotel rooms. In a video message, one worker said he slept in his car to escape his roommate’s snoring. Honest Tea also leaves its employees well enough alone for most of the day (the majority work remotely.) All company updates, holiday and other announcements come in a once-daily newsletter they call “Afternoon Tea” — a concept that appealed to the Fools. “We were inspired by their afternoon tea idea and may try to come up with something similar,” Trogdon said. At one point, a Fool asked if the company culture had changed since Honest Tea was acquired by Coca-Cola in 2011. Schwartz said both companies knew what they were getting into and haven’t butted heads much. Goldman, who refers to himself as “Tea-E-O” instead of CEO, told the story of how he once stood up to Coca-Cola executives when they asked Honest Tea to remove the words “no high fructose corn syrup” from its juice packages. Goldman refused, and Coke execs eventually gave in. “I like that they’re unyielding in the face of the industry,” said Rex Moore, a stock analyst with Motley Fool. Many of Honest Tea’s competitors have rolled out lower-sugar and lower-calorie products as the company has become more prominent. 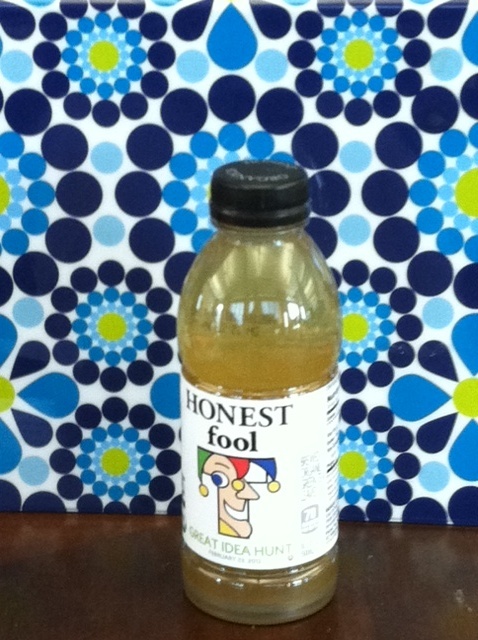 Honest Teas have between zero and 40 calories per 8-ounce serving, fewer than some other brands. Don’t pity the Motley Fool. And certainly don’t pity Ben Sterling, a 29-year-old who’s been with the financial services company in Alexandria since 2007. When he decided to quit his software-testing job to follow his dream of becoming a personal trainer, his bosses asked him to stay on as the trainer for the office’s 200 employees. His title for the past year: the Wellness Fool. As the first person to fill the position, he’s been responsible for managing all of the company’s wellness initiatives, which include health fairs, subsidized visits from a masseuse (it’s $5 for 20 minutes, $10 for 40), exercise activities and a vending machine overhaul. “We’re trying to get people on the right path,” says Sterling, who knows what it’s like to stray. It was his personal experience of losing 50 pounds in college that inspired him to pursue fitness professionally. Back when he arrived at the Fool, Sterling learned that the company encourages the creation of clubs. There’s one for knitting, another for wine. Sterling formed the fitness club and began leading boot-camp-style classes. With his new job, that’s evolved into Foolish Fitness, hour-long exercise sessions he holds five times a week in a conference room. It’s easy to see why. Forty-year-old Vivek Karandikar, a database administrator, credits Sterling’s classes for motivating him to accomplish things he never would have done on his own. Committing to the exercise program has allowed him to get off of several medications. For co-workers who’d prefer free one-on-one training, Sterling does that, too, at the office or at nearby Jungle’s Gym (where the company reserves the basketball courts on certain mornings). He can’t feasibly meet with everyone weekly but instead focuses the sessions on developing fitness plans. He checks back every four to six weeks and adjusts exercises accordingly. Between the classes and individual training sessions, he’s worked with more than half of the employees in the office. Still hungry? The vending machines also look different these days. Although you can still find some naughty stuff, it’s no longer subsidized by the company. Candy used to cost a quarter, Sterling says. Now, it’s a buck. That money has gone to help lower the cost of better choices. One machine is entirely stocked with discounted smarter snacks, including bags ofPirate’s Booty for 50 cents and Clif Bars for 75 cents. The Fool also has some competing, less healthy traditions (pizza day and cake day, for example), but overall Sterling has found that the biggest barrier to progress is that his co-workers are mostly active, happy people already. A nurse who came to the most recent health fair to perform screenings told Sterling that it was the healthiest company she’d ever seen. So though it’s been easy to connect with most employees, Sterling’s goal for 2012 is to reach out to every single one of them. He recently started a meditation program, and attendance has grown from month to month. He’s considering targeting specific teams with fitness classes. And he hopes to lure in stragglers with monthly challenges. The first one, in February, was called “Stand and Deliver.” “Any time the phone rings, you make a call, send an e-mail or get an e-mail, you stand up,” Sterling explains. If you manage to stick to the challenge for a whole day, you tell him and get entered for a chance to win gift cards at the end of the month. The more days you do it, the better your odds of winning. 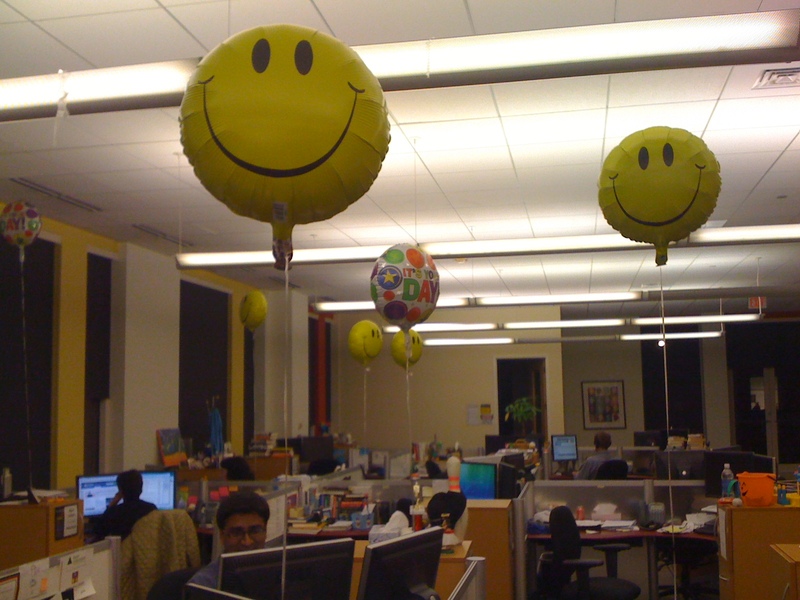 Of course, if you work at the Motley Fool, it sounds as if you’ll already feel like a winner. I came in this morning to find love notes on my desk. They were not uncomfortably from co-workers Max and Rebekah who sit next to me. Instead they were from Motley Fool customers. Some random Fools had taken the time to print out lovely feedback we had received and print them on cards. They snuck in early this am and left every Fool employee different cards and candy on their desk. 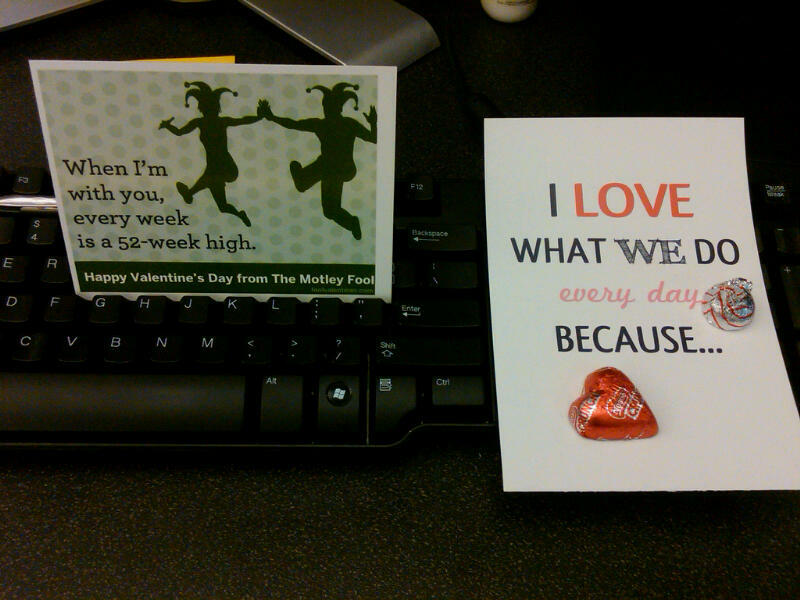 I believe people come to work and love it for 4 ranked reasons. Little reminders that you are delivering on the number one reason people come to work is a powerful thing. Have you ever had a Dumbledore-esque rapper show up during a job interview – complete with a white wig, Dumbledore hat, glasses, track suit, and a Dumbledore monogrammed gold chain? Have you ever been to a job interview on Halloween? You should try it sometime. 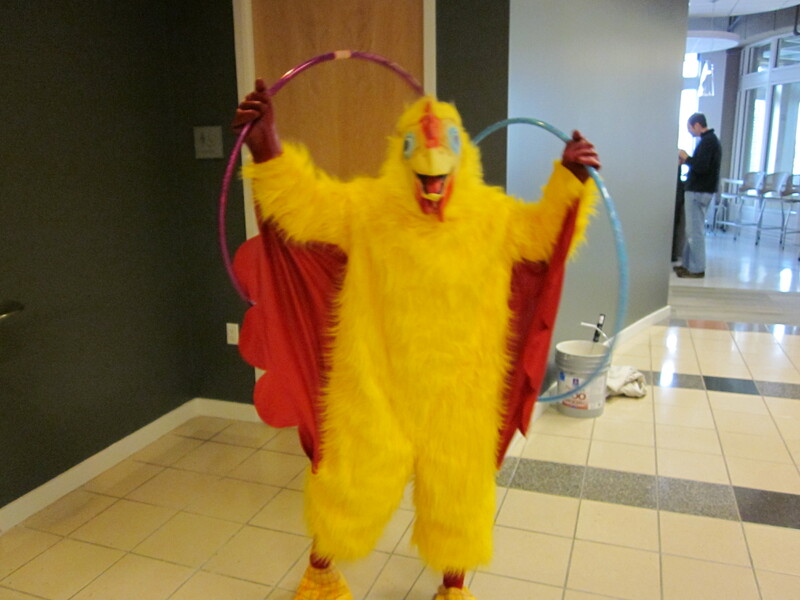 What about seeing a person in a chicken suit running around with hula hoops? That happens more than you’d think! What about having a job interview on April Fool’s Day – a holiday like none other at The Fool? Let’s just say we’ve had to tell a few of our candidates that it WAS NOT an April Fool’s joke when we had to push back an interview start time. I find that the best days to conduct interviews are when Fool HQ has something crazy going on. At The Motley Fool, that happens a lot. It is fun to see how candidates react when I conduct their interview dressed as Dumbledore on Halloween. (Yes, that was me.) We’ve had Fool interviewers with their child in tow, dogs in the room, and meetings in stairwells. It is best for candidates to see what life is really like in the office, and it is great for us to see how they react to our craziness. I also like to see how candidates deal with mix-ups and change-ups in their schedule. Whether it is challenges with their travel or a day of juggling conference rooms, candidates can face a number of tests. Some candidates are clearly frustrated and impatient – not a good sign. Others roll with the punches. When real Fool life is present in obvious ways during interviews, we get an even better sense of a candidate’s fit. One of our best hires had two interviews outside during a fire alarm. Others have had interviews where they’ve had to help complete a project or come up with ideas for a Fool event, and they’ve been our most creative Fools yet. When I interviewed 13 years ago, I stood in a storage closet over a foosball table. I saw first-hand how the Fool rolled and I loved it. Coming from a stogy banking environment, I knew this laid-back, get-it-done place was for me. At The Fool we are big fans of giving out special projects. There are so many benefits including but not limited to enhancing roles, learning what Fools can do, testing new concepts, seeing how people can stretch, collaboration, stretching resources, and more. One key element is that special projects make an impact. When a project has a real, difference making outcome a Fool will be more bought in to the project. This is also a great use of company time. 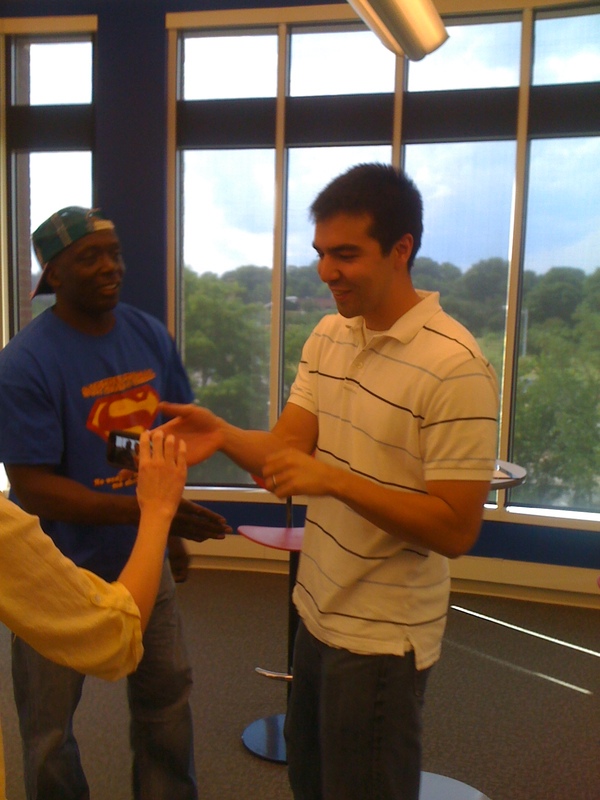 Having people learn while accomplishing something critical for the company makes everyone happy. Note: People like to volunteer for projects as opposed to being told what to do. This is true form Kindergarten to the board room.